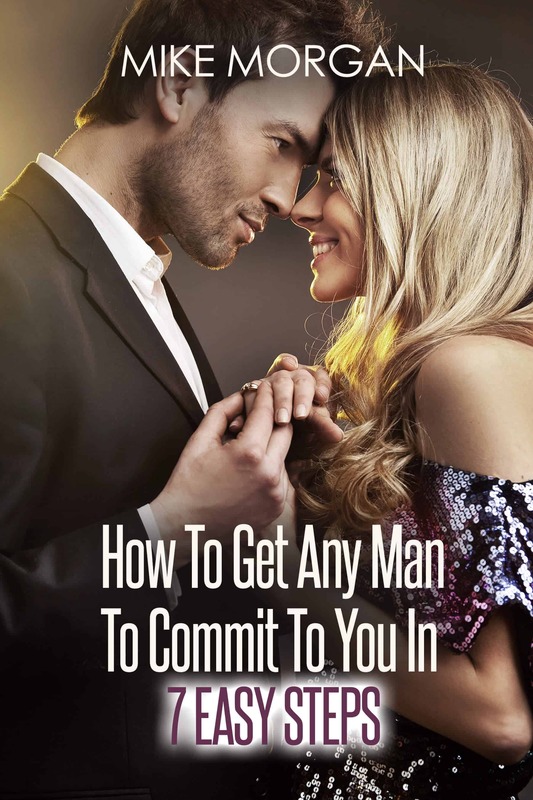 Whether you’re in need of getting your ex back or you simply want to show him what he’s missing out on, figuring out ways to make your ex jealous may be your first course of action. Although jealousy is a powerful tool to use when trying to prove a point, it could open a can of worms that you may not have been expecting. Thus, it’s important to know what you’re getting yourself into in order to prepare yourself for all possible outcomes. You may find him running back to you or running even further in the opposite direction simply because of your reasoning behind it. However you choose to go about it, figuring out how to make your ex jealous in a way that’s going to be effective is important. 1. Flirt your little heart out. Figuring out how to flirt with a guy over text or any other method is the first step to making your ex jealous – as simple as it may sound. Remember, he’s used to receiving the attention. He’s never fully witnessed you flirting with another man. Perhaps it’s time to show him what you’re made of? There’s nothing that makes a guy more jealous than seeing his ex looking extremely hot in yoga pants while other men are checking her out from behind. He’s going to become possessive, even if you’re no longer together. Thus, hitting the gym is highly important for your self-esteem and overall mission. 3. Post photos with other men. Social media is a highly effective tool in your attempt to make him jealous – being able to show off without making it seem too obvious. As innocent as a photo with another man may be, it’s one of the easiest ways to spark a little bit of jealousy. Be sure not to overdo it, though. 4. Act as if nothing’s wrong. It’s important when figuring out how to make your ex jealous that you act as if everything is fine. You’re perfectly content with the fact that you’re no longer together or with the idea that he’s seeing someone else. It’ll drive him crazy if he isn’t over you. He’s going to want you to care. 5. Make it known that you’re dating again. Getting back on the horse and making it known that you’re enjoying the ride will drive him insane. It’ll make him jealous in ways that you can’t imagine. Remember, he knows what a great catch you are. He’s definitely not going to want another man feel you up the way he used to. 6. Hang out as friends. Go over to his house like you used to when you were dating. Pretend as if you’re one of his regular friends simply hanging out, eating his food, putting your feet on his couch. Pretend as if everything is fine. Most importantly, figure out how to stay friends after the breakup in order to be convincing. 7. Bring a partner to the party. If you’re at the stage where you’re talking and even hanging out (pretending to be friends), you may even be at the stage in your friendship where party invitations are acceptable. Why not bring a date? Someone who’s a little touchy-feely; not afraid to show their affection. 8. Avoid getting jealous yourself. Most importantly, you have to avoid getting jealous if he starts seeing someone else. Again, pretend as if everything’s fine, as if you couldn’t care less about his new relationship. Getting jealous will put you in an extremely vulnerable position. The last thing you want is to come across as ‘weak’. 9. Be happy for him (even if you have to fake it). If he happens to get a new girlfriend, tell him that you’re happy for him and make it seem as believable as humanly possible. He’s going to expect you to be upset or jealous. However, by doing the exact opposite, you’re showing him that you’re fine without him. His entire plan will backfire. 10. Barely recognize him in public. It’s inevitable, when living in the same city, that you’ll bump into your ex at some point. When you do, almost don’t recognize him – as if you’ve moved on with your life, being completely content and happy. It’ll make him think twice about what he’s missing out on. No one enjoys being forgotten. 11. Bump into his friends with class. Then again, if you happen to bump into his friends when he isn’t around, you have to appear as happy and polite as possible. He may not be there to witness it, but he’s bound to hear about it from his friends. This will result in him contacting you eventually: guaranteed! Besides, maybe you’re not as awful as you were made out to be (depending on the breakup situation). Perhaps you even look more attractive than the last time his friends saw you. Figuring out why you want to make your ex jealous is as important as finding the most effective ways of doing so. The last thing you want is your tactics backfiring simply because you’re so busy trying to make him jealous that you forget to go about it in a clever way. However, it’s important to recognize that the mere idea of wanting to make him jealous means that you’re simply not ready to move on with your life without him. It could be that you’re holding resentment towards him or you miss him but you can’t figure out the words or even the courage to tell him that directly. Remember, honesty is always the best policy – especially when it comes to figuring out how to get your ex back. Then again, there’s always the option of doing a little bit of research by incorporating the Ex Factor Guide into your reading material. You’ll learn the shortcuts involved in getting your man back, saving yourself hours of wasted time searching online. The Ex Factor Guide is the No 1 guide for sharing the proven secrets of doing what is necessary to win him back over. But time is of the essence—visit this great resource now and take action to keep him in your life.